NEW interactive "inset extrude" addon! Today i can proudly present to you my new fully interactive inset extrude addon! investigate slowdown in combination with subsurf modifier - any ideas? 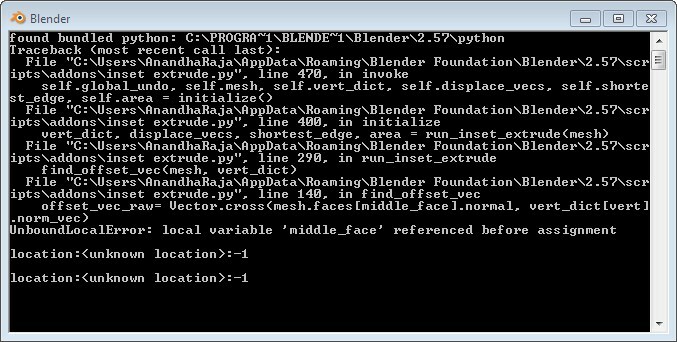 interpolated displacement for the complete selection. merge functionality with howardt:s inset addon? I’ll test this over the next few days & get some feedback to you. Thaks JoS, looking at the video this add-on could be a godsend! I’d love to help testing but don’t know how to download and install the add-on. Also, if you accept suggestions, I’d insert a way to input values with keyboard for precision modeling. i creating installer for blender add-ons collections, can i have permission to add you add-on in my installer. I did just that but “Inset Extrude” doesn’t show up on the list of available add-ons. Beautiful job on the interactivity of this, JoS! great! i was waiting for a long time this tool! Thanks Zeffii, that “copy to clipboard” feature solved the problem, I was copying from Firefox and probably that would make the code dirty. JoS, your plugin IS a godsend! Just tried with my typical difficult situation: inset some faces on a sphere: perfect result! after performing the inset action if I click on the values on the Tools panel Blender just revert back to Object mode discarding the changes. 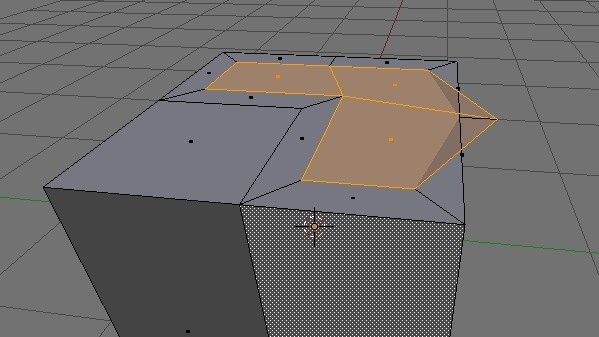 would be nice to have a keyboard modifier to quantize the inset / extrude action (like holding CTRL to make it steps by 10, ALT steps by 1, something like this). so where is it ? now is ther only one script files or several files like there was in the older version ? One observation I have is that this tool doesn’t seem to like selections on flat planes. 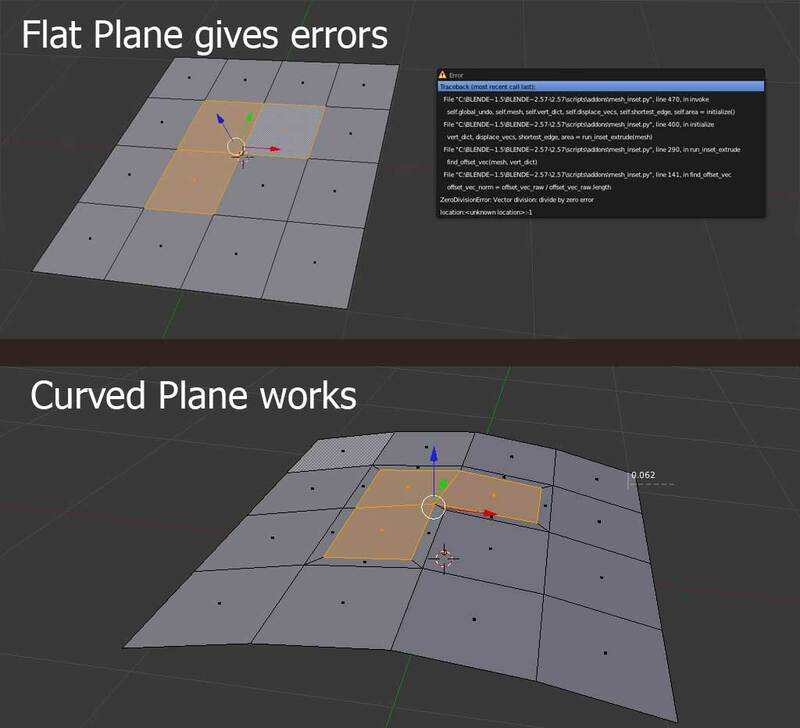 but if you curve the same plane just a little and try again, then it works. PS. I’m loving the move by normal feature. Awesome, this is simply awesome. RickyBlender, I activated it by searching with space-bar. I noticed problem adjusting parameters with Tool shelf, so it’s something which need to be fixed soon. i look at the video bu cannot make it work ! and if you don’t have a key assign to this script how do you start it? Incorrect inset with a subdivided cube. Any doubles removed and normals recalculated before the inset. Thanks for the feedback guys, keep it coming. have you tried assigning the tool to a shortcut as i show at the end of the video?